A newly released surveillance video shows Chicago Police officers stationed inside Marshall High School viciously dragging a 16-year-old high school student down a flight of stairs, without provocation, before beating, punching, shocking and stepping on the girl in front of her father. "Those officers filed a false statement". The new footage-culled from the high school's security cameras-appears to vindicate the teenager's story as well. "The saving grace for Dnigma is that this was caught on camera". Her father, Laurentino Howard, was phoned by administrators at Marshall High School to pick up his daughter after her last final exam. She then kicked, bit and spit on the officers. "The Board of Education and the Chicago Police Department continue to fail our children", Howard's lawyer, Andrew M. Stroth, said. "If she would have been convicted of those charges it would have ruined this young lady's life but thank god for the video because the video clearly showed what happened", Stroth said to BuzzFeed on Thursday. Video footage initially released, which did not contain the beginning of the altercation, showed the attack only after the incident had already been needlessly escalated by police. Another officer joins the fracas and soon students swarm the top of the stairs, obstructing the view, as the two officers began dragging the surprised Dnigma down the stairs by her ankle. Howard was first charged with two felony counts of aggravated battery against the officers but those charges were subsequently dropped "in the interest of justice", prosecutors previously said. She is then shocked with a stun gun. The charges were dropped less than a week later. Later on, another camera captured one of the officers yanking on Howard's leg in order to pull her down. Laurentio told the Sun-Times he was told to stand back as he cried out for them to stop. The officers also used a stun gun on Howard, as seen in another video. Finally, the officers tased the girl three times as she lay on the ground. The school district's inspector general and the agency that investigates Chicago police misconduct are both investigating. 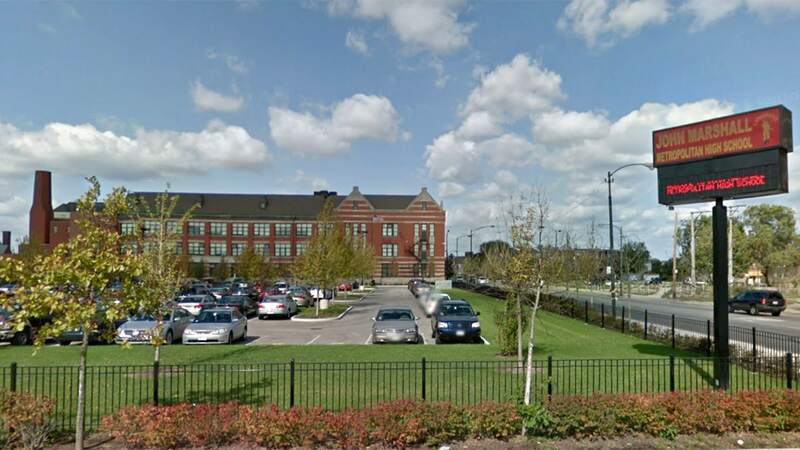 A spokesperson for Chicago Public Schools said that they are "deeply disturbed and troubled by this incident which has no place in our schools". The "reforms" are also made with the intent to cap how much districts will pay out in lawsuits resulting from unrestrained police violence. "Mayor-elect Lightfoot needs to address the issue of police in schools immediately", Stroth said. NBC Chicago reports the Civilian Office of Police Accountability is handling the probe of this case, so representatives at the Chicago Police Department are not authorized to comment on the investigation.